What would I specify on ebay to get some more power cables. It is really easy now to get Centos7 up and running. You have an image choice of server, Gnome, or KDE (EPEL issues with Xfce still). Grab the uboot file and go to the Centos installation. Or perhaps I can put the latest uboots on my server... Hmmm. Cubieboard 5 support in the works. A few have it working. Random entropy is required for both servers and clients using any crypto protocol. This SHOULD be at least 2000. Depending on your software you may constantly be using this, or only as a send to a PRF. First thing to try is install rng-tools. On the CubieTruck, this can get avail entropy up to 1500. The best thing to do is install haveged. Greetings. It has been a while since I posted here. Build your CubieTruck image, then grab the C2 uboot and put that on the mSD card. With Centos7 (and Fedora), you can put your image on your Sata drive and have ONLY the uboot on the mSD card. Your system will load uboot from the mSD and then just switch to the Sata drive. My use of medon is to serve some personal files rather than use a dropbox service. The main web pages are in serious need of updates (like 15 years old!). General Discussion / Cubietruck plus? Any hints about the Cubietruck Plus other than the one picture and post from back in July? Like when it might hit the supply chain? Fedora 23 has shipped. It works on both the Cubieboard2 and Cubietruck. I personally use the Xfce image. WiFi, Bluetooth, and audio on the Cubietruck still not available. Patches SHOULD move upstream and soon be in Rawhide. You can just put the uboot on a mSD card (cheapest you can find), and put the partitions on the sata drive and F23 just boots up off the sata. Don't try and put the uboot on nand. That is still a work in progress. May 'see it soon'. I just put together that I will be in Hong Kong this weekend (arriving thursday afternoon) and leaving sunday for the IETF in Yokohama. It would be nice to have a Cubietruck to work with there and if I could buy one cheap, that would be neat, but is there a 'store' there that sells them? It is supported by Fedora22 uboot and kernel (and thus will be for Centos7). Thing is to get everything wired. 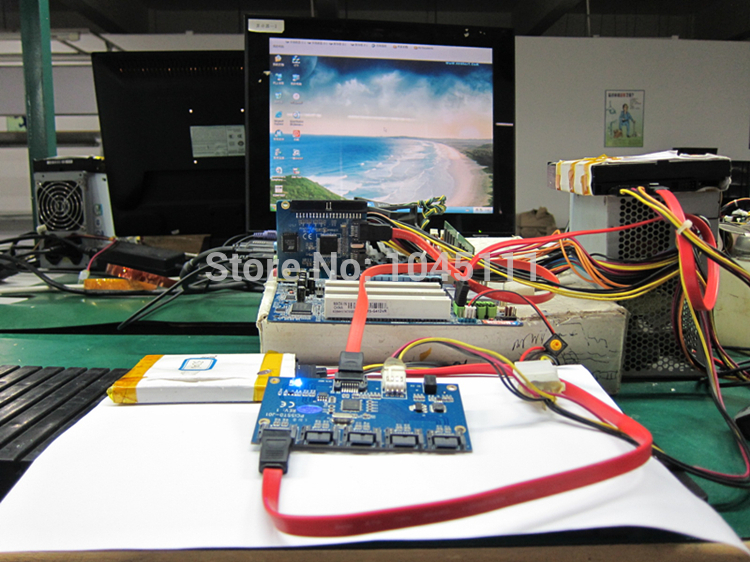 The sata data is no problem to see, it is the power. I plan on using only 2.5" HD on it, so all 5V, but how many Amp? But it might be nice to power it off the cubie so when it goes off, so too does the board. But that would mean taking CN4 for the power? Is there any pins for expansion boards that might power this? to power 2 drives (and what is the amp limit through CN4?) Or I can use one of these and cut off the sata male and wire on a USB cable. I have not found any USB power cables to sata power. That might also be rewired to USB. My 40w Anker is rated at 3A per USB port. Any input on how to best power this card and the connected drives? Cubieboard v3 OS (Cubietruck) / Fedora 22 - Released Today!! I went to plug in my standard 3.5mm headphones, and it seemed to be too big. I did not want to force it. I looked around and cannot find out what size plug to use for the audio plugs. Can someone please point out what size to use? Now that I am really testing out a graphical desktop on my Cubietruck, I finally hit the no adobe armv7 flashplayer that many others have struggled with. I have installed this on my Fedora 22 build and it is working for most of the sites I have gone to. Not cnn.com, they use a proprietary video format, it seems. Is not available to me yet, as vlc is not out yet for F22 (no rpmfusion for F22 yet). So everyone that needs a flashplayer, look into shumway and lend a hand if you can! This supposedly applies to Cubieboard 1 & 2 as well, but I don't have a C1 and have not tested on my C2. Even though they say F21, it works as well for F22. Download the latest image with the UI of your choice then use the installer available from the Installation page. I use Xfce. I did my latest install without a serial console. You just have to wait a couple minutes before the config screen comes up. I would like more progress (which you would see on the serial console). I tried not using the serial console with this latest install, as if you have a serial console, you get the serial configurator, not the graphical one. Password requirements by the installer are draconian. This is being debated on a number of devel lists. Old strong passwords are coming up 'weak'. If your favourite password is now weak, try Fedora_Project123, then change it later with passwd which is unchanged. USB keyboard and mouse are supported. Directly to the CT or via a USB hub. I am currently using VGA video through my KVM, but I have tested HDMI. Ethernet works, and with a consistent MAC addr (they finally figured out where to steal some bits to construct a MAC for the CT). WiFi, BT, IR, are all 'future'. Sigh. NAND is not supported. Yet. Do not try and move the uboot to NAND; I have been told it just won't work. Yet. You can put all partitions on a sata drive with only the uboot on an SD card (just look at the installer script to figure out how to put just the uboot on the SD card. Uboot will switch to the sata if there are no partitions on the SD. Eventually, we will be able to have uboot on NAND and all partitions on sata, freeing up the SD slot. Oh, there is also a sata multiplexer card out that will let you put 4 sata drives on your CT. Fully supported in the current uboot/kernel. I will add here as new functions come on line. You can get by without a TTYUSB serial console for install, but it makes things easier. If you want video, you have to get with Rawhide. The schedule for F22 is Jun '15.